Where can I get a copy of the map? A paper describing the method used to produce the map and a discussion of the resultant map can be found at the peer-reviewed journal Hydrology and Earth Systems Sciences. Here you are able to download the paper (free of charge, since HESS in an open access journal) along with the map as an image file (.jpg) and as a raster file (ArcMap) from the Supplement section (again free of charge). When you unzip the supplementary file, make sure that the option for unzipping to sub-folders (or sub-directories) is turned on, otherwise ArcMap may not recognise the raster file. 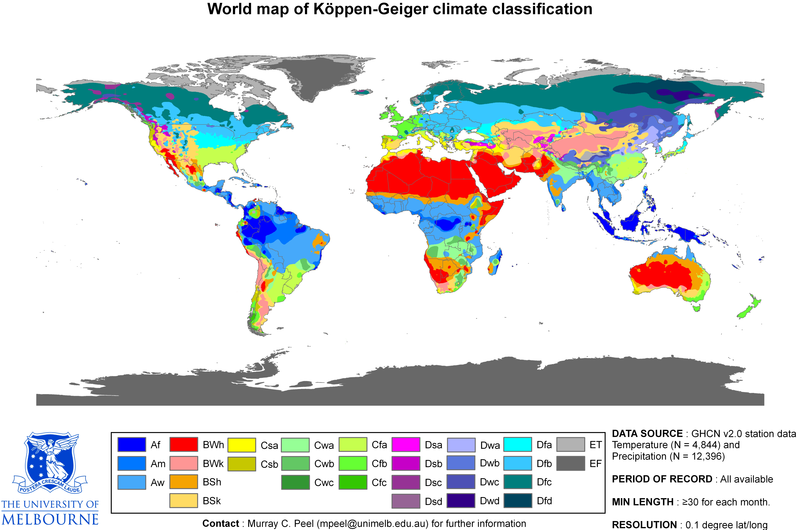 Peel MC, Finlayson BL & McMahon TA (2007), Updated world map of the Köppen-Geiger climate classification, Hydrol. Earth Syst. Sci., 11, 1633-1644. Two GoogleEarth layers (*.kml) of the map are available basic info version and detailed info version. Save the link to your computer and open the kml file in GoogleEarth. [Thanks to Gerrit Hendriksen for the detailed info version]. 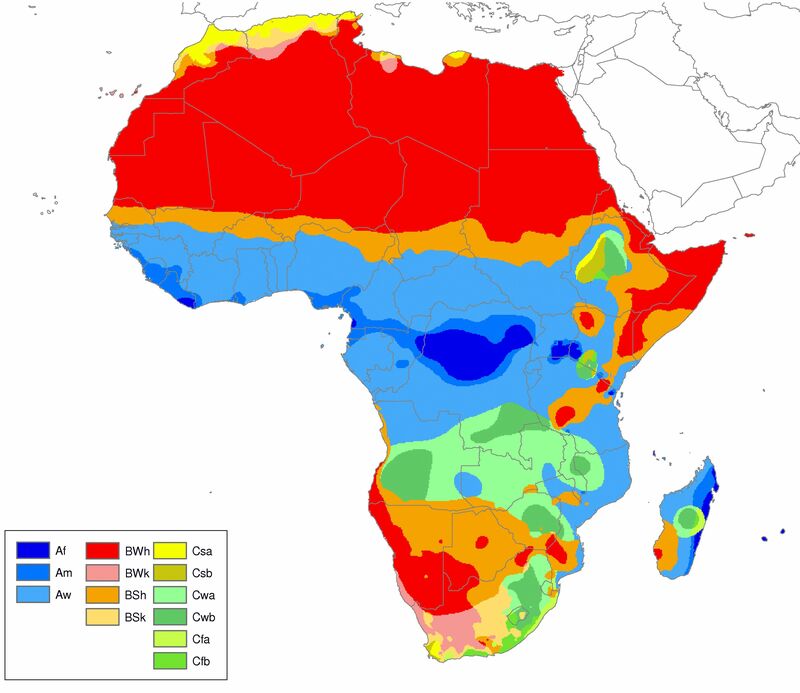 Individual continental maps from the paper are available here in jpg (Africa, Asia, North America, South America, Europe & Milddle East, Australia, World) and eps (Africa, Asia, North America, South America, Europe & Milddle East, Australia, World) format. An ascii version of the published ArcMap raster file is available from here. Both the ArcMap raster and the ascii raster use the GCS_WGS_1984 projection in ArcMap (0.1 x 0.1 degree resolution). Am I allowed to use the map? Yes! 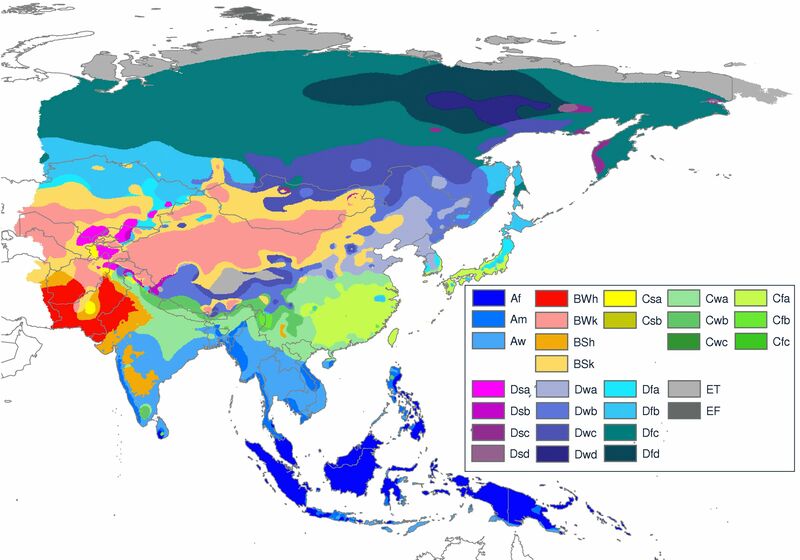 Please use the map for non-commercial purposes and cite "Peel et al (2007)" and the reference above. If you adapt or modify the map, cite "Adpated from Peel et al (2007)" and the reference above. Hydrology and Earth Systems Sciences is published under a Creative Commons Attribution, NonCommercial and ShareAlike License. This means that you are free to use and adapt the map so long as you abide by the terms of the License (acknowledge the original source & non-commercial use), which is why we chose to publish the map in this journal. Can I access the raw data used to create the map? Yes! 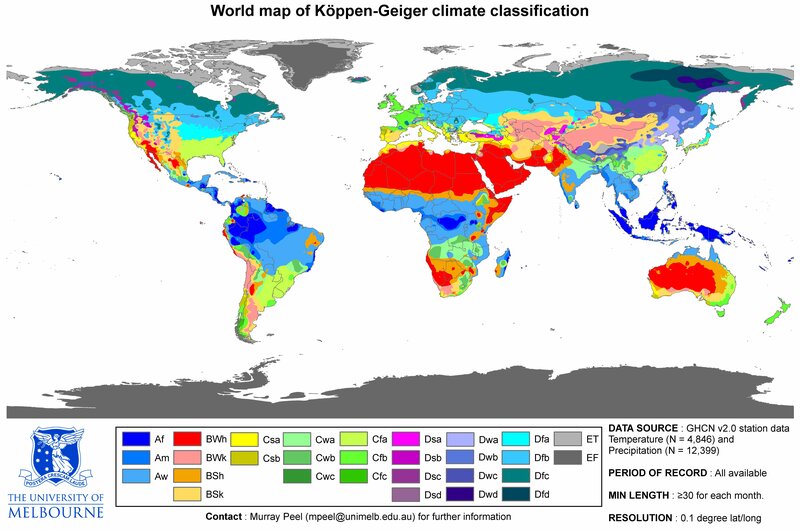 The monthly precipitation and temperature data used to construct the map are available for free download from the Global Historical Climatology Network, Version 2. 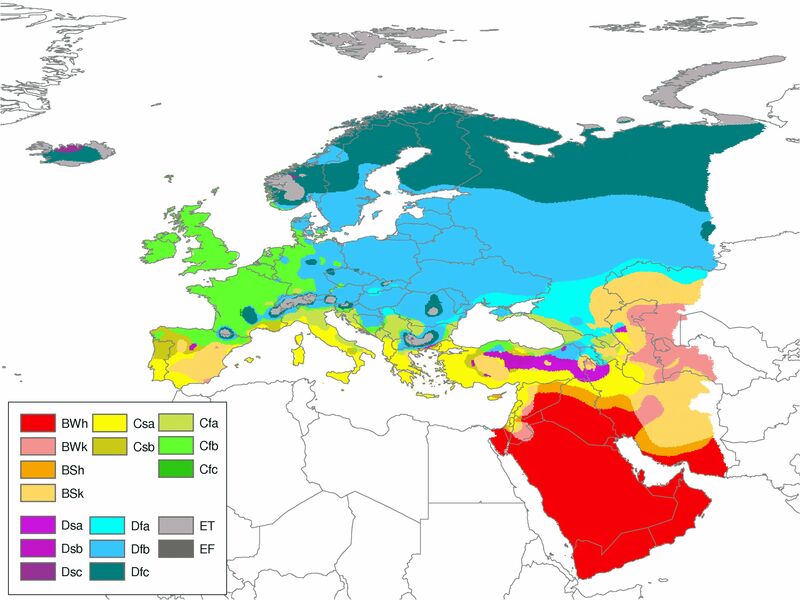 Caspian Sea - The area covered by the Caspian Sea should not have any climate types. It should be white like the nearby Black Sea. Reunion - Indicated as Af, should be Am. [Thanks Josh]. Mauritius - Indicated as Af, should be Aw. [Thanks Josh]. Greek Islands: Santorini & Anafi - Indicated as BWh, based on Koutsoyiannis et al (2008) should be BSh. [Thanks Panos]. 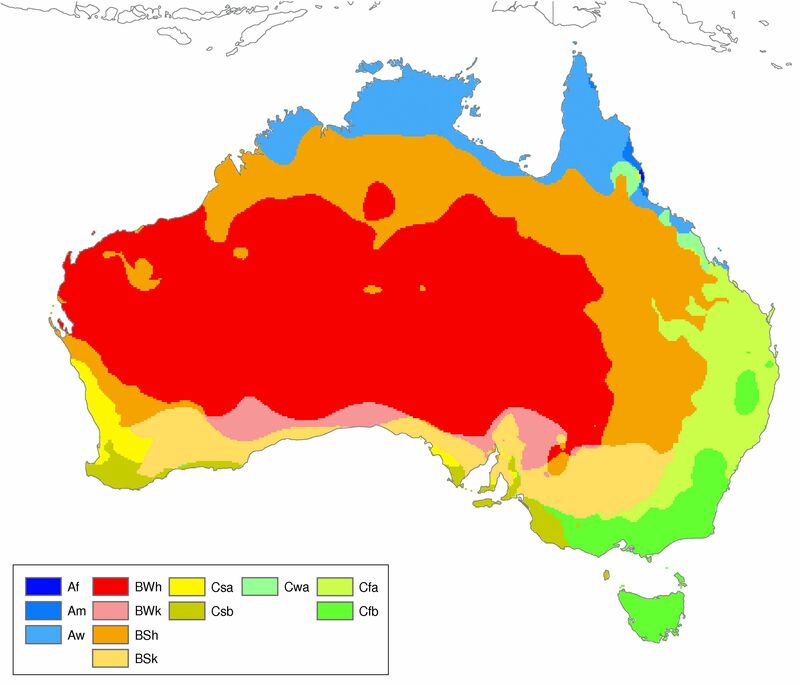 Rules for C and D climates: Thot > 10 should be Thot ≥ 10. During production of the map Thot ≠ 10 at any location, so this error did not affect the map. Rule for Tmon10: should be the number of months where the temperature is ≥ 10, not > 10. Piraeus, Greece - Mamara et al (2012) show Piraeus has a BSh climate (not Csa) based on observations. [Thanks again Panos]. A description of the climate types and the rules used to calculate the climate types is given in Table 1 of Peel et al (2007), which is reproduced below. The units are precipitation in millimeters (mm) and temperature in degrees Celsius (oC). 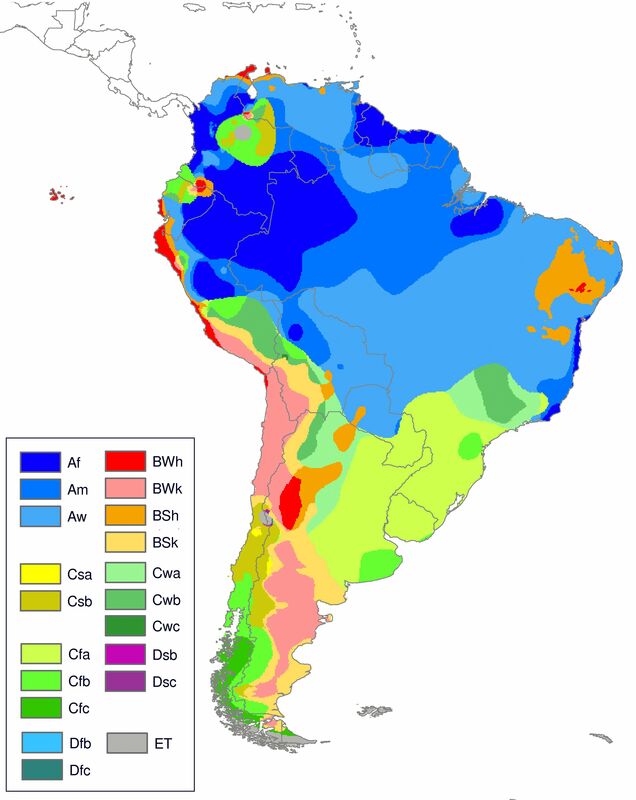 * MAP = mean annual precipitation, MAT = mean annual temperature, Thot = temperature of the hottest month, Tcold = temperature of the coldest month, Tmon10 = number of months where the temperature is ≥ 10, Pdry = precipitation of the driest month, Psdry = precipitation of the driest month in summer, Pwdry = precipitation of the driest month in winter, Pswet = precipitation of the wettest month in summer, Pwwet = precipitation of the wettest month in winter, Pthreshold = varies according to the following rules (if 70% of MAP occurs in winter then Pthreshold = 2 x MAT, if 70% of MAP occurs in summer then Pthreshold = 2 x MAT + 28, otherwise Pthreshold = 2 x MAT + 14). 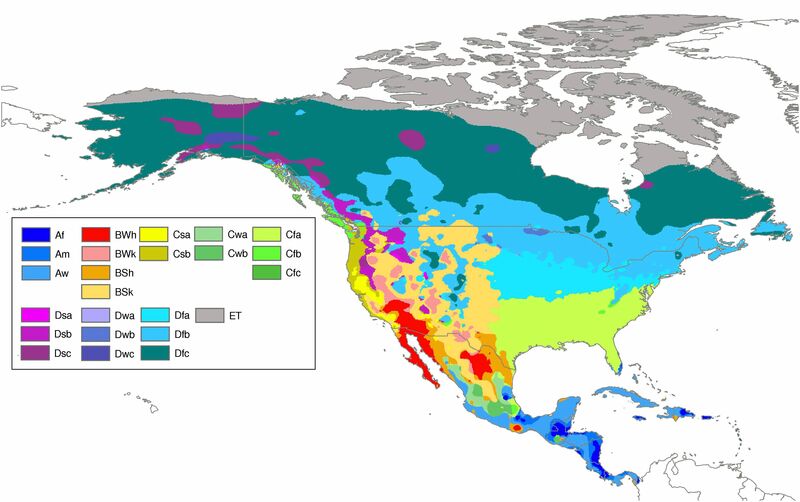 Summer (winter) is defined as the warmer (cooler) six month period of ONDJFM and AMJJAS. Contact Murray Peel at mpeel@unimelb.edu.au for any further questions about the map.